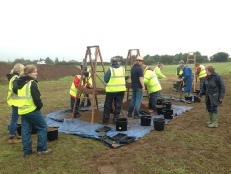 All techniques are taught and experienced throughout the week, a mixture of theory sessions and hands on training from our Archaeological experts. Every attendee will be taught to excavate. Delegates will be taught archaeological drawing methods. Delegates will also receive training and experience in measuring and recording heights with a dumpy level. Topics covered in the classroom sessions will include site formation and processes, stratigraphic excavation, context sheets, drawing and photography, alongside a Pottery Identification Training seminar. Total Station training and surveying seminar and practical session. All attendees will receive a welcome pack with information on excavation techniques and recording. ‘Animal, Vegetable, Mineral’ artefact identification quizzes on most mornings! This course is suitable for people of all archaeological abilities from beginner wishing to take their first step, to experienced diggers wishing to take the next step, and from university students and post-graduates needing more experience, to retired people wanting to fulfil a life’s ambition… all are welcome and will be treated equally… the experience is tailored to the individual through hands on personal supervision. Field days include lunch (sandwiches) provided by caterers which will be eaten in our welfare area in the field. On-site toilet facilities are provided. A tour around Bainbridge and its historical sites. You can pay for your place in full online via the ‘buy now’ option below for the required week. This includes a £120 non-refundable deposit. You can pay a £120 non-refundable deposit via the second ‘buy now’ option below for the required week. This will reserve your place until we receive your full payment which is required 12 weeks prior to the commencement of the excavation. You can pay by cheque in FULL or £120 deposit. In order to pay this way please contact us first via the contact box below stating “field School” in the ‘type of enquiry box’ in order to ensure your place is reserved before sending a cheque. We will then be able to arrange where the cheque is sent to. Please tell us which week you wish to book on, and that you wish to pay by cheque, in the comments box provided. You can pay by direct bank transfer in FULL or £120 deposit. In order to pay this way please contact us first via the contact box below stating “fieldschool” in the ‘type of enquiry box’ . Please tell us which week you wish to book on, and that you wish to pay by bank transfer, in the comments box provided. Please note that Archaeology can be quite physically demanding, so please contact to discuss any limiting factors with regard to you undertaking fieldwork. There are aspects of the course such as finds processing that are less physically challenging. Please contact us if you have any issues. Please note we do not provide accommodation. We can provide a list of local accommodation from camping to hotels- but it is the responsibility of the individual booking on to the field school to organise their own accommodation. Any list provided should not be seen as a recommendation by Mercian Archaeological Services CIC. 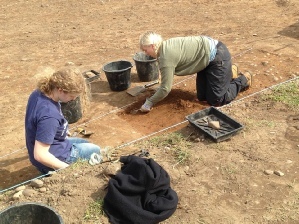 By booking a place on the field school you are agreeing to abide by Mercian Archaeological Services CIC’s TERMS and CONDITIONS and by our CODE of CONDUCT. Some information about available accommodation is provided on our Information page in order to help you in your searches. But this information should not be seen any form of recommendation or endorsement, and Mercian are not responsible for any accommodation booked by delegates. 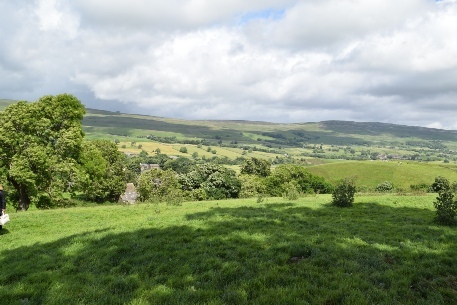 Join Mercian Archaeological Services CIC in the beautiful Yorkshire Dales for this week-long training excavation, which focuses on the teaching of archaeological excavation methods. As well as offering the very best in archaeological training and support, this training excavation is tailored towards enabling attendees to fulfil requirements of the Archaeological Skills Passport. To pay by cheque or bank transfer, please contact us below stating which week you wish to attend and how you wish to pay. 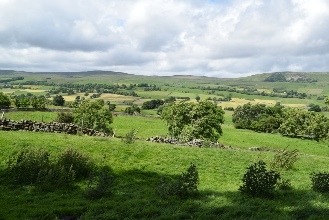 At Bainbridge, Wensleydale, North Yorkshire. Places are limited so please book promptly to avoid disappointment. I honestly can't thank you and recommend you all enough, I will definitely be returning for more field schools and courses! (and the lunch club!!)”. I realise that over the 5 days we could only get an introduction to the many skills involved but it did create a desire to learn more even in someone who is just doing it for fun. The week was a wonderful experience which was also enhanced by Roy's meals. “I just wanted to leave a review of sorts, as this was one of the most enjoyable and truly educational field schools that I’ve been to! Whether you have experience in archaeology or not, this is a fantastic opportunity to learn, in a welcoming environment; all three Mercian members are extremely knowledgeable in their various fields of expertise and are able to teach aspects of archaeology that might usually be a bit daunting in an accessible, understandable, often comical way. This is a great field school to experience a wide variety of archaeological work (surveying with equipment, digging, finds processing, site photography, plan drawing)- you get to try it all and the staff is so approachable, happy to answer questions. If you have the chance to attend this school, you’ll be happy that you did; regardless of your level of experience with archaeology, you will learn a lot, likely with a good bit of laughter along the way. “The welcome from the Mercian team was warm, with coffee provided by Roy (the onsite caterer… I’ll say more about him and his culinary skills further on...) and the training group was a lovely mix of all ages and experience. We had a welcome talk and introductions, which was lighthearted and relaxed, then a site tour and a fascinating background history of the medieval palace site and how it functioned and related to the surrounding area. This set the field school into a lovely context as part of the long-standing research and hard work by Mercian, who are a not-for-profit, Community Interest organisation... Their ethos is outstanding. They have a firm emphasis on research, community engagement, training and education - all underpinned by their very obvious passion for the local Sherwood Forest archaeology and history. The course itself was amazing, with depth and meticulous attention to detail in all aspects of core skills such as excavation, context sheet recording, plan and section drawing and site photography, and secondary skills such as finds processing. I loved the pottery and small finds identification sessions, and the animal, vegetable, mineral’ object quizzes....and we even got to have a go at flint-knapping at the end of the week. I think I might manage a stone tool or two now, should things get apocalyptic... :-) Seriously, it was great fun. We learned a massive amount in the space of a week. The teaching involved not just the correct processes, but also the whys, the wherefores and often the maths (yes, maths!) behind technical approaches such as trench layout from co-ordinates, use of dumpy level, total station, and so on. Now, I don’t have a particularly refined maths brain, and it’s a (very) long time since my GCSEs but Andy presented it in such a way that we could apply and use it effectively. I was pretty impressed that his approach made it stick! I wish I could have been there for longer! It was a fantastic experience and I came away feeling a lot more confident in my developing skills. As stated above this course focuses on excavation, it is suitable for all levels from beginner to experienced digger. The beautiful village of Bainbridge was formerly the administrative centre of the medieval Forest of Wensleydale, and the magnificent Bolton Castle near Leyburn dominates the valley to the east. A Roman fort looms large over the village of Bainbridge on the eastern side. The site of the excavation is overlooked by a Late Bronze Age to Early Iron Age Slight Univallate Hillfort. This fort occupies the high ground at the top of a steep slope on the southern side of the site. 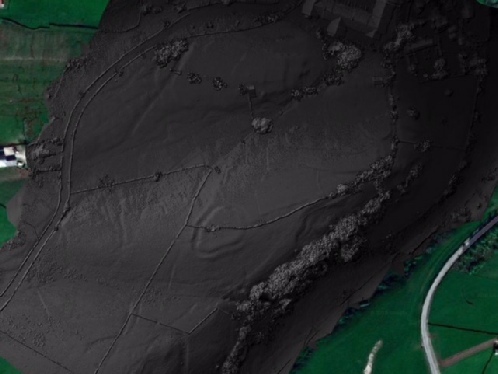 We will be concentrating our excavations on the possible medieval manorial complex to the north of this fort, which has been identified from earthworks and recently discovered pottery (see below). The area is famous not only for its beautiful landscape, but also its world famous cheese, and as the backdrop to the television series ‘All Creatures Great and Small’. A further resource relating to Bainbridge and the wider landscape is the ”Out of Oblivion - A Landscape through time” website. 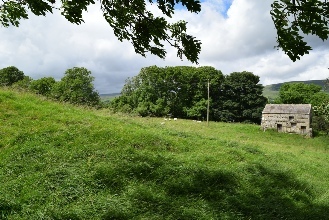 This site is based on the Historic Environment Record (HER) maintained by the Yorkshire Dales National Park Authority. 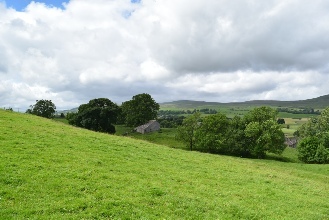 The aim is to “increase your enjoyment of the Yorkshire Dales and to help you understand more about the unique cultural landscape of the area created through the interactions of people and nature over thousands of years”. The name Bainbridge comes from its location at the place where the “Cam High Road”, a Roman Road crossed the river Bain. To learn more about the Cam High Road see the webpage http://www.outofoblivion.org.uk/record.asp?id=424. A Roman fort overlooked this crossing and a settlement grew around the fort named ‘Virosidum’. The modern village is overlooked by the remains of this fort - ‘Bainbridge Roman fort and annexe’, which is located on the eastern edge of Bainbridge. The village of Bainbridge grew in medieval times in the shadow of this fort and on the crossing of the Bain. Bainbridge was formerly the administrative centre of the medieval Forest of Wensleydale. The site of the excavation lies in fields to the south of the village core. The site contains a large number of earthworks. 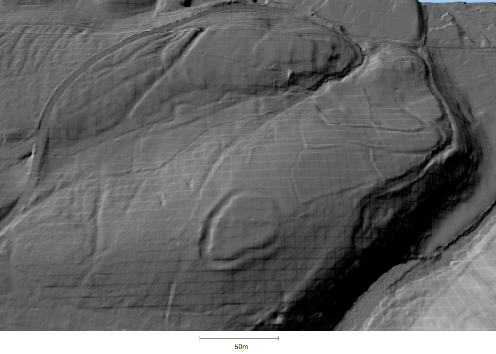 These include a linear holloway identified as the “Cam High Road”, a Roman Road which runs to the south of Bainbridge, and a Slight univallate hillfort dating from the late Bronze Age to Iron Age (see below). 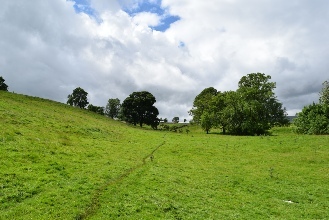 Many other earthworks are identified as being associated with the late medieval Manorial complex for Bainbridge which is believed to have occupied the site. Pottery discovered on mole-hills during recent topographic survey by Mercian, has suggested occupation on the site throughout the medieval period. The excavation will be testing theories regarding the medieval occupation of the site. Picture: The Bainbrige Slight Univalate Hillfort, Late Bronze age to Iron Age, viewed from the South. 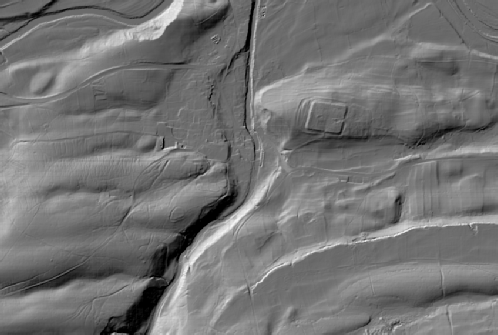 LiDAR Composite DTM - 1m data hillshade image created in GIS. Contains public sector information licensed under the Open Government Licence v3.0. 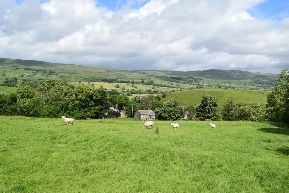 The village of Bainbridge was recently subject to a Community Archaeology test-pitting project in 2018; managed by the Community Heritage Officer at the Yorkshire Dales National Park Authority (YDNPA), Rebecca Cadbury-Simmons, on behalf of the Yorkshire Dales Young Archaeologists Club along with local schools and community groups. The project was funded by the YDNPA’s Sustainable Development Fund. “A 5,000 year old flint arrowhead, an almost complete Roman-era pot, and a bullet from a Lee Enfield British Army rifle were among the 12,000 ‘finds’ uncovered in Bainbridge last year during the ‘We Dig Community’ archaeology project”. Steve Moorhouse undertook a survey of the site in the 1990s which was published in 2003. (Moorhouse, S. 2003. Medieval Yorkshire: a rural landscape for the future. In, (Manby, T. G., Moorhouse, S. & Ottaway, P. 2003. 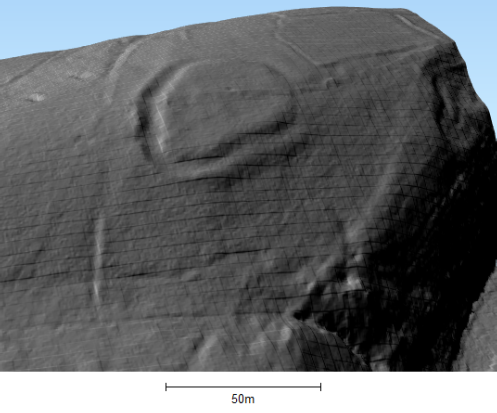 The Archaeology of Yorkshire: An assessment at the beginning of the 21st century. Yorkshire Archaeological Society Occasional Paper No.3. pp 181-214). In two phases during 2018 Mercian have begun surveying areas in the western part of the site not previously surveyed by Steve Moorhouse. Pottery discovered during these surveys (mentioned above) suggests occupation at the site across the medieval period. Views around the site and across Wensleydale. Information about Bainbridge and Wensleydale. Please note Mercian are not responsible for accommodation and do not recommend anywhere in particular to stay. York, including a visit to York Minster (and the remains of the Roman fort) and the Yorkshire Museum. Please have a look at the Information page for more details to enable you to come along and join the fieldschool, and to get the most out of the experience. The page contains information on getting to the site, ideas about where to stay, what to wear, what to bring, and more.